With Diwata 1 already transferred turned over to the Japan Aerospace Exploration Agency who in turn will transport it to the US for launch into space the University of the Philippines will continue in lockstep with the development. UP plans to build a space technology research center that will maximize the involvement of mostly UP engineering graduates. This will be in connection with the Philippines’ first effort to launch into orbit its Diwata 1 this summer. 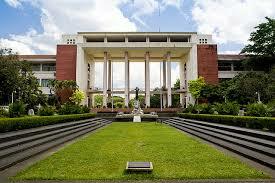 The Electronics and Electrical Engineering Institute in UP Diliman will be the site of the UP Microsatellite Research and Instructional Facility. “We will build an expansion area where we will house our space development activities,” Pascual told reporters in a forum at the Quezon Hall in UP Diliman. “Our aerospace program will interact with the National Aerospace Program of the DOST (Department of Science and Technology),” Pascual disclosed. Citing technologies that were indirectly assisted and developed by the US Space Program, such technologies will benefit the country as a whole. These new technologies will be developed from the collaboration of DOST and UP. “Whatever we will develop from our aerospace program we will feed to our domestic industry and eventually the technologies developed and processed will benefit society,” Pascual said. Also, courses, industry training at the laboratory and curriculum will be developed where Filipino students will learn satellite technology and assembly. The DOST has issued a grant of Php120 million for the construction of the facility. Currently, Filipino engineers are in Hokkaido University and Tohoku University for Diwata 2, the country’s 2nd microsatellite that is being assembled.